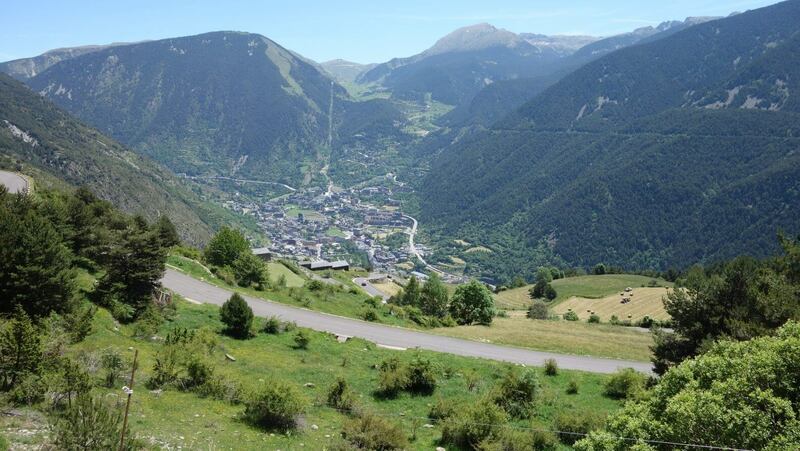 Andorra is one of the most beautiful tiny places on Earth. Andorra is a unicorn with wonderful magic properties. Nestled in the Pyrenees, it sits between Spain and France. It has a population of less than 80,000 but is a member of the United Nations. It is the highest capital city in Europe but is not a member of the EU, though it does use the Euro. Politically it is known as a principality and is a diarchy headed by two Co-Princes – the Catholic Bishop of Urgell in Spain and the President of France. It has one of the lowest unemployment rates in the world, has the 9th highest per capita GDP, has universal health care (duh), and is consistently rated one of the happiest places in the world to live. And they have the highest life expectancy in the world. 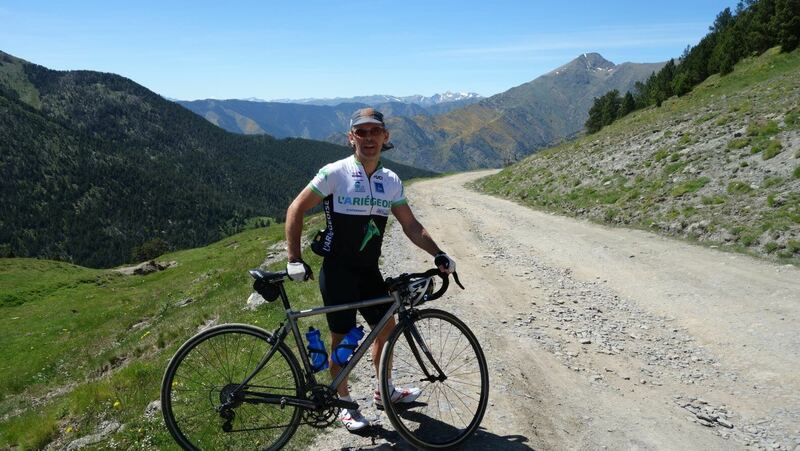 That is really interesting and good for Andorra, but you want to know, how is the cycling? 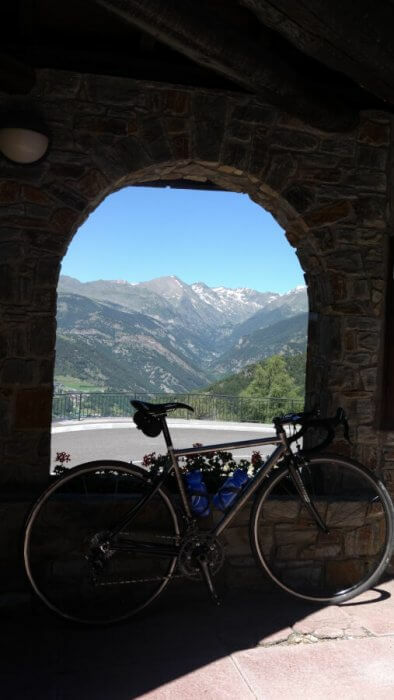 Let’s just say that the cycling in Andorra is commensurate with all the other exceptional things about Andorra. 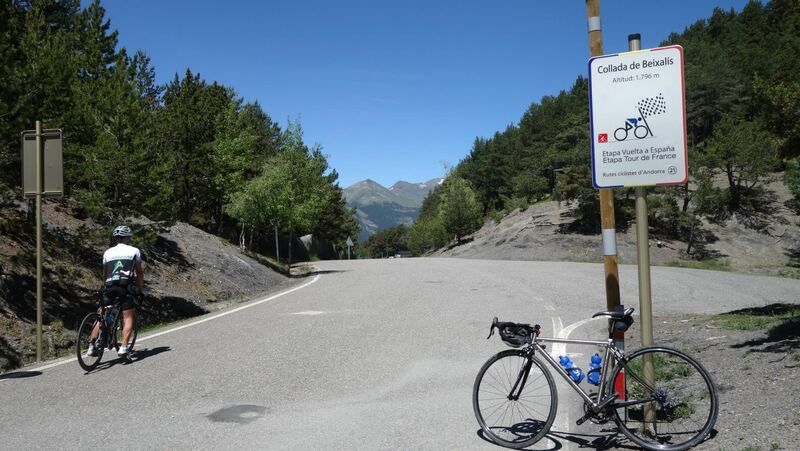 The Tour de France and the Vuelta visit Andorra frequently for epic mountain stages. You can pack a lot of climbing in this little country. The road quality is absolutely incredible. This is a very rich country and the apparently repave their roads monthly. They are so smooth. 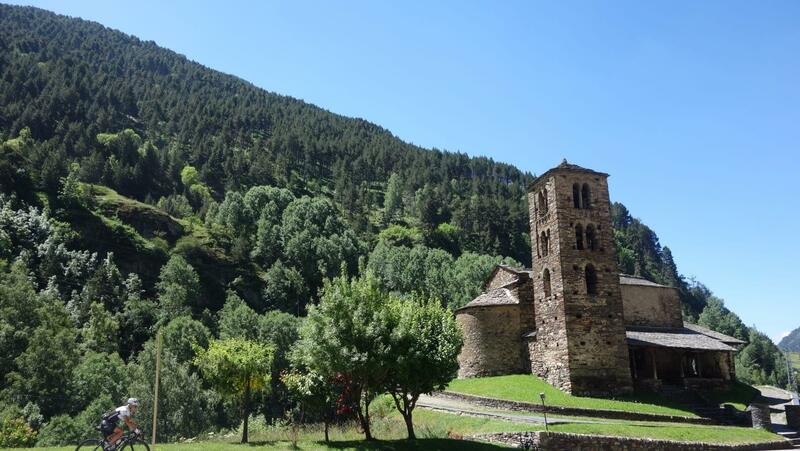 Little towns and big mountains punctuate the principality of Andorra. This is a 12th-century church. La Collada de Beixalis sign. Andorra is steep! 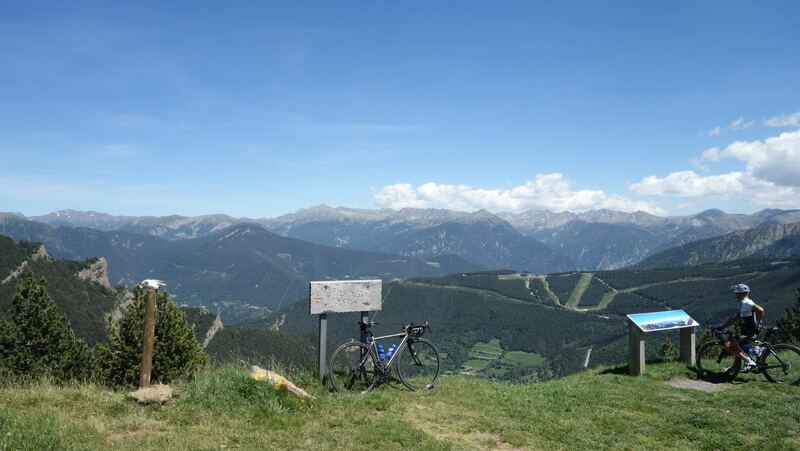 Andorra is AMAZING great. Go there. Didier is very fast so I get used to chasing behind him. On the Port de Cabus climb we saw maybe two cars. It essentially dead ends at the Spanish border. 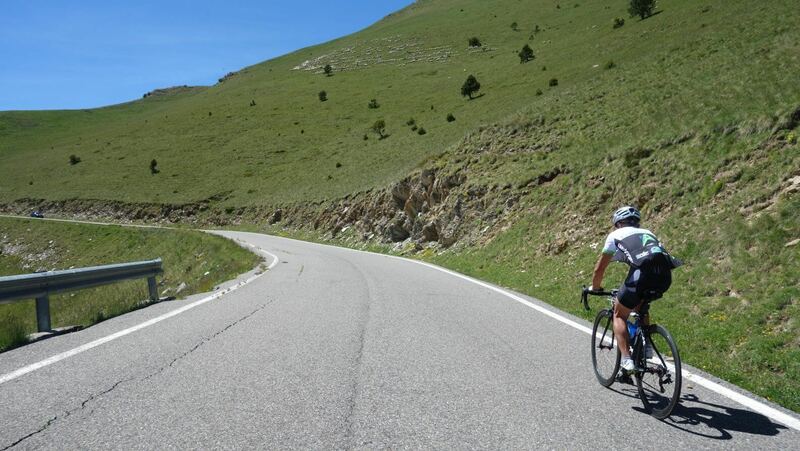 The beautiful absolutely perfect road turns to gravel at the Spanish border on the Port de Cabus climb.